TOPDRIFT FD ProAm Rd3 – Presented by Megan Racing! JUSTDRIFT | admin | Comments Off on TOPDRIFT FD ProAm Rd3 – Presented by Megan Racing! CONGRATULATIONS TO TOPDRIFT ROUND 2 WINNER! JUSTDRIFT | admin May 27, 2015 | Comments Off on CONGRATULATIONS TO TOPDRIFT ROUND 2 WINNER! TOPDRIFT ROUND 2 THIS WEEKEND! Are you ready for Horse Thief Mile this weekend? TOPDRIFT Round 2! 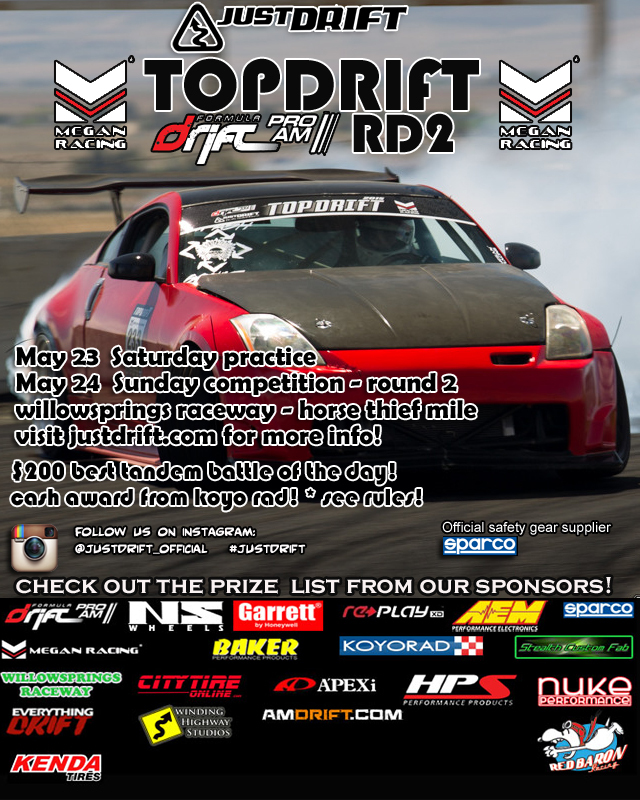 JUSTDRIFT | admin May 19, 2015 | Comments Off on TOPDRIFT ROUND 2 THIS WEEKEND! TOPDRIFT ROUND 2 coming up fast! Click on the flyer to register for the event! JUSTDRIFT | admin May 12, 2015 | Comments Off on TOPDRIFT ROUND 2 coming up fast! TOPDRIFT ROUND 2 – HORSE THIEF MILE! Registration is OPEN! 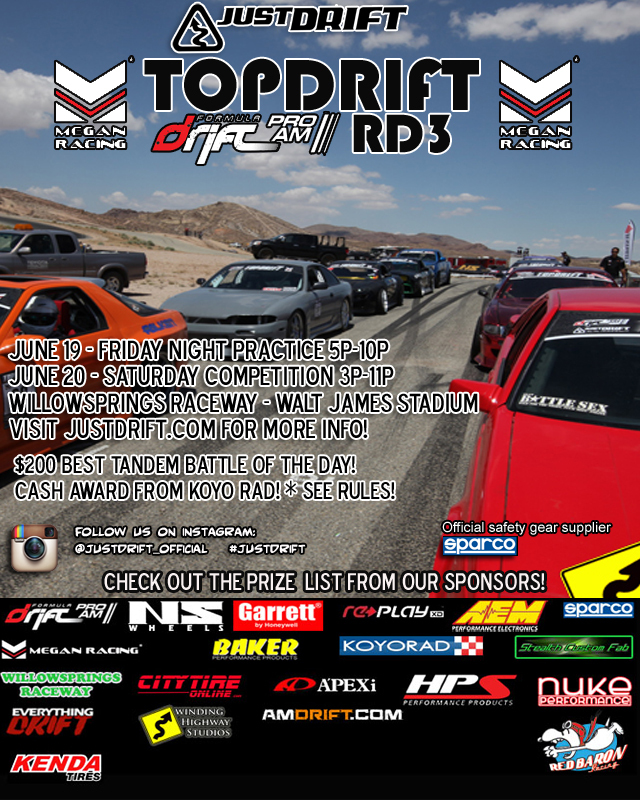 for TOPDRIFT FD ProAm – Presented by Megan Racing at Horse Thief Mile! 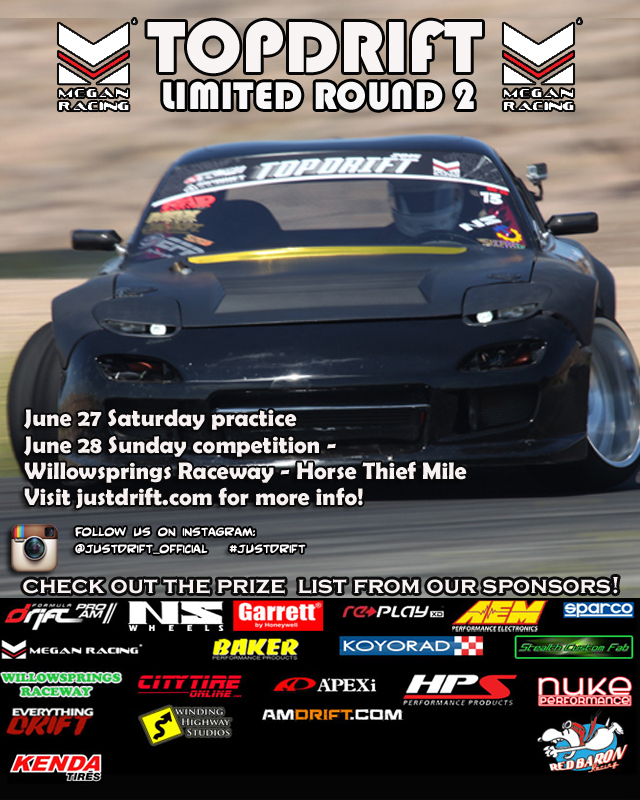 JUSTDRIFT | admin May 1, 2015 | Comments Off on TOPDRIFT ROUND 2 – HORSE THIEF MILE!